In Visual Composer, you can link from one element to another element in the same page. For example, you wish to have a button at the top of the page, that, when clicked, will automatically scroll down to a specific section of the page. 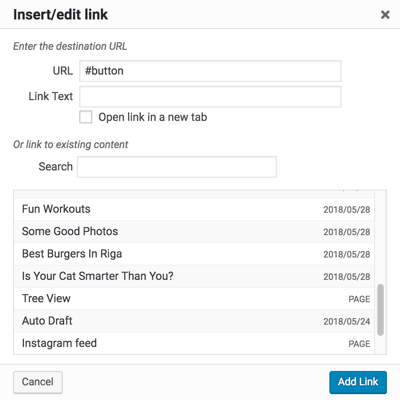 You can accomplish that with anchor links and unique element ID that will create the so-called page jumps. 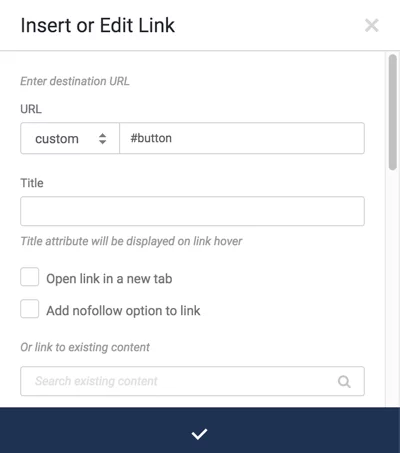 Depending on where you want to link from, there are two ways you can add anchors to your links – via Visual Composer link selector or TinyMCE editor. Note: make sure to use only letters and numbers without spacing. Choose “custom” at the URL drop-down. Add the unique element ID.